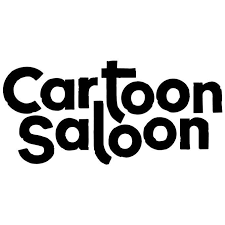 The Cartoon Saloon Speakeasy Podcasts... what the Feic is this? Well, Tomm Moore is on a mission to talk to everyone we work with in Cartoon Saloon and in our new sister studio Lighthouse and we thought the best way to do that was through podcasts. He wants to get to the bottom of why and how they got into animation and became Artists and why they wound up in our humble little studio here in the South East of Ireland. He takes on two people at once and the stories are very revealing and an interesting listen to any aspiring animators curious to know what path others have taken to get to where they are now. Or for non animators....who just can't figure out which podcast to listen to right now! Next up we have Rory and Herbie! Rory works in our layout department and sometimes we let him teach animation workshops to the public. Herbie works in our design department and loves hedgehogs!! !